A fleece is an absolute necessity. 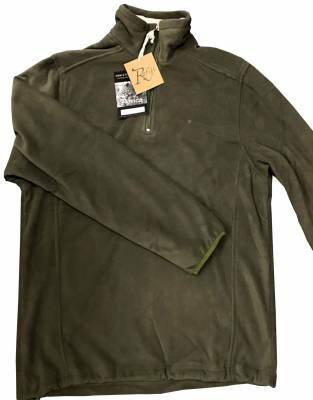 Early morning starts and evenings on an open Land Rover can get cold and this soft, comfortable safari fleece will prove essential even during African summers. You may be asking: “A fleece on safari?” Trust us, on the back of an open Land Rover at six in the morning or eight in the evening, it does get cold! Much of Africa is also over 1000 metres above sea level (the Masai Mara, for example, is at 1,500 metres - the height of many ski resorts in Europe) and this contributes to the morning and evening chill. Please do not be fooled by hot midday temperatures - the hotter it is at midday, the earlier you go on safari. The simple fact is you will be very cold without a safari fleece, as the quote below confirms. 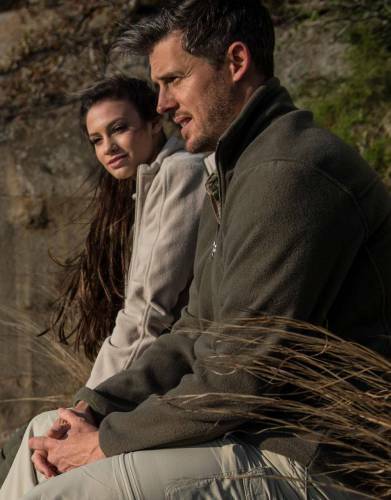 "My husband did not procure one of your safari fleeces before we went and alluded to the fact whilst shivering on the back of a Land Rover on an early morning game drive that obviously you knew what you were talking about." 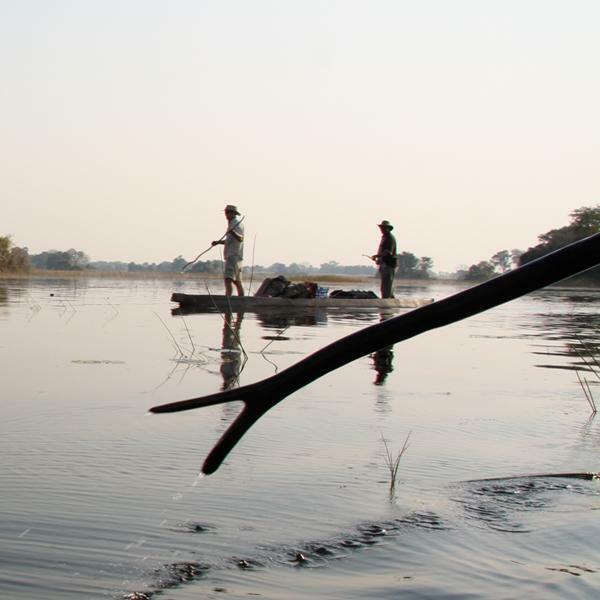 R. Kneller, on safari in Botswana in October - one of the hottest times of the year in the Okavango Delta region! 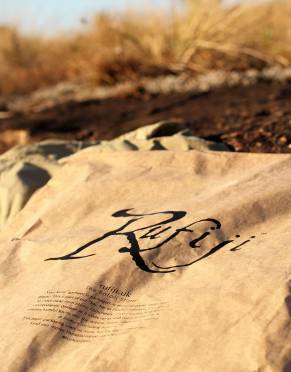 ⊙ MATERIAL: Made from 100% warm, soft, and comfortable Rufiji™ fleece. 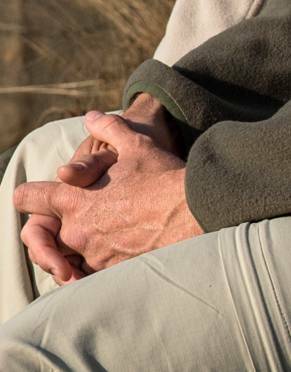 ⊙ ELASTICATED WAIST AND WRISTS: The elasticated waist of the Rufiji™ Essential Long-Sleeved Safari Fleece is a design feature which allows you to adjust the waist of your fleece according to conditions. Trap the warmth and avoid cold drafts by adjusting it to a snug fit. The elasticated wrists prevent draughts creeping up your sleeves. ⊙ ZIPS: The Rufiji™ Essential Safari Fleece comes with a quarter-length zip which zips right up to the chin so your neck is not exposed when it gets chilly. STEP 1: You will need a measuring tape, a flat surface such as a table, a notepad to record your garment's measurements - and a similar garment which you own. If you do not own a similar outer layer, then using a collared long sleeve shirt which is a comfortable fit will give you an idea of the size which will fit you the best. Tip: If you do not have a measuring tape, use your credit card. The long side of a credit card measures 8.5cm and the short side is 5.4cm. Simply use the centimetre measurements on our chart and divide by 8.5cm to get an idea of how many credit card lengths equals the measurement you are recording. STEP 2: Referring to the images above, place your garment flat on the table and record the following measurements: ⊙ 1/2 Bust/Chest - Across the front of the shirt from armpit to armpit; ⊙ Centre Back Length - From the nape of the neck on the back of shirt to the bottom hem; ⊙ Sleeve Overarm - From the top of the sleeve where it joins the shoulder to the end of the cuff.